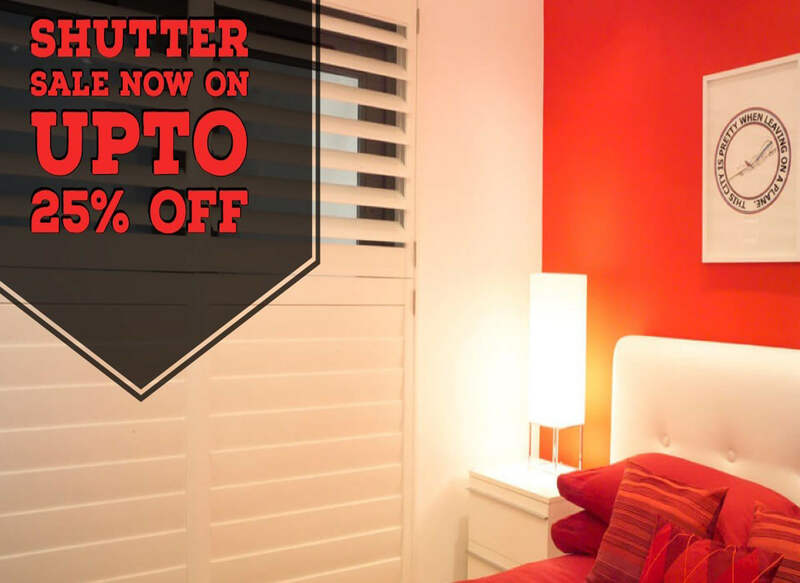 SHUTTER SALE IS ON NOW! 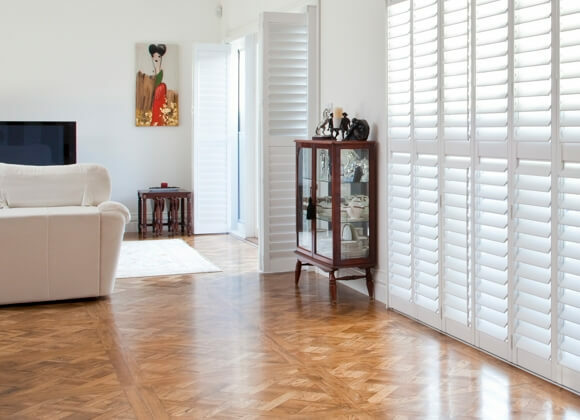 No matter what you require from your window shutters, here at A-Z Blinds and shutters, we are the local shutter specialists and ready to give you 100% assistance in helping you get the right shutters for you! 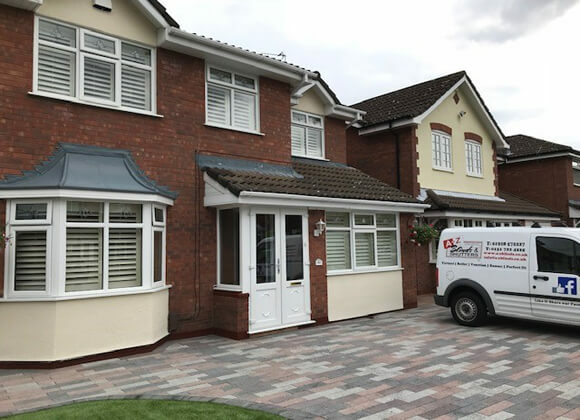 Whatever the size or shape of your windows you have, We are the experts in Runcorn and Merseyside at negotiating all obstacles and the most difficult and particular of shutter requirements. 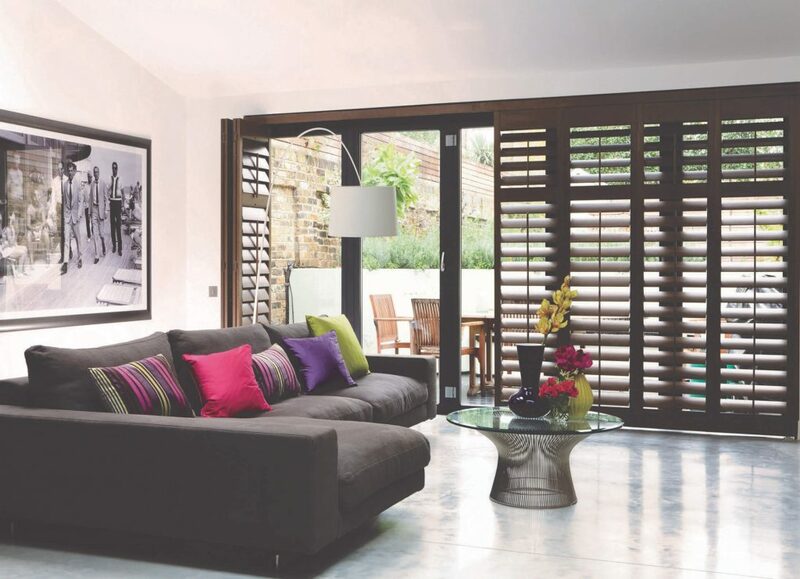 A-Z Shutters have a wealth of professional experience in design and fitting window shutters to the highest standards, whether you already have strong ideas about what you want in terms of either aesthetics or style of shutter, or if you would like a consultation from us in order to arrive at a decision, we’ll make sure that you achieve the perfect window dressing solution for your purposes. Multi Purpose Multi Budget Window Shutters! 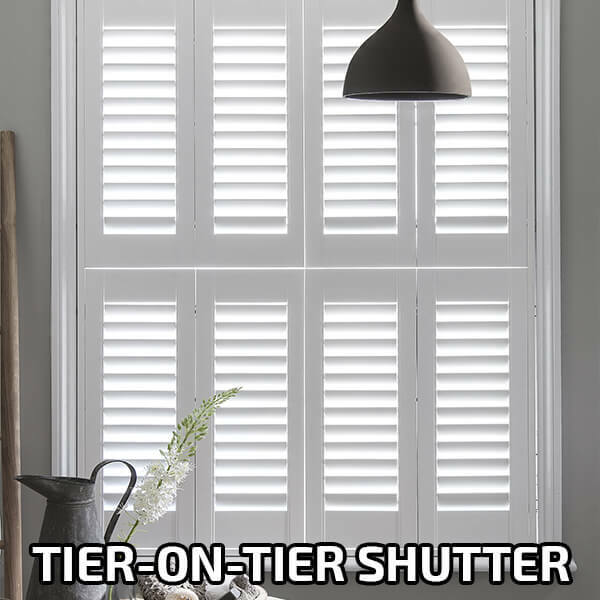 We have listed our shutters by range, each range offers something that can suit your required lead time and budge and style! You might be pleased to know that getting the look you want in terms of style is just the beginning, because each style range can be achieved using different materials, each material has qualities or specific variations which basically cater to any budget or situation your are wanting. 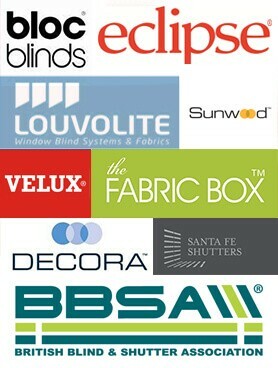 Whatever Range you do choose, we’ll do our best to help you get that new shutter that suit your purpose and meet your budget! 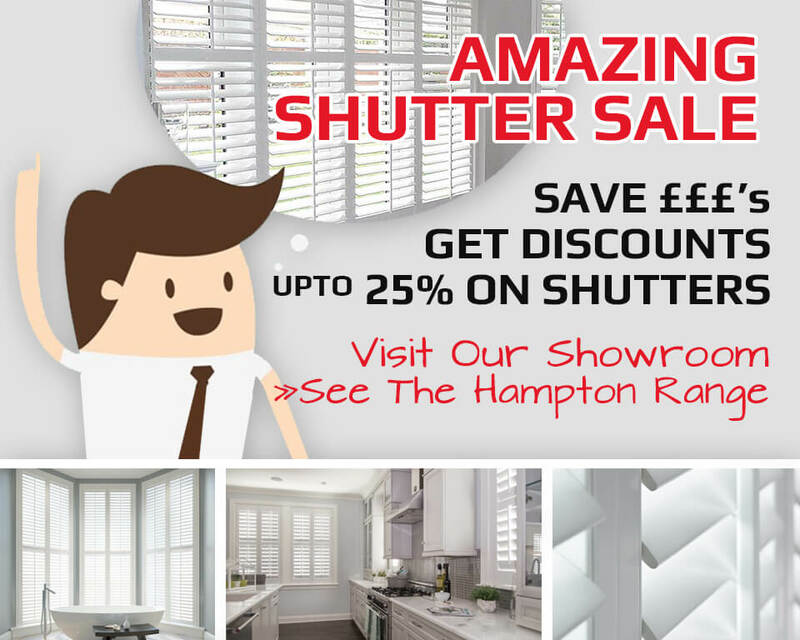 All day everyday we are busy talking to our prospective clients about their Shutters. Plus, when we’re not doing this, we’re making your bespoke shutters and fitting them to the highest of standards. 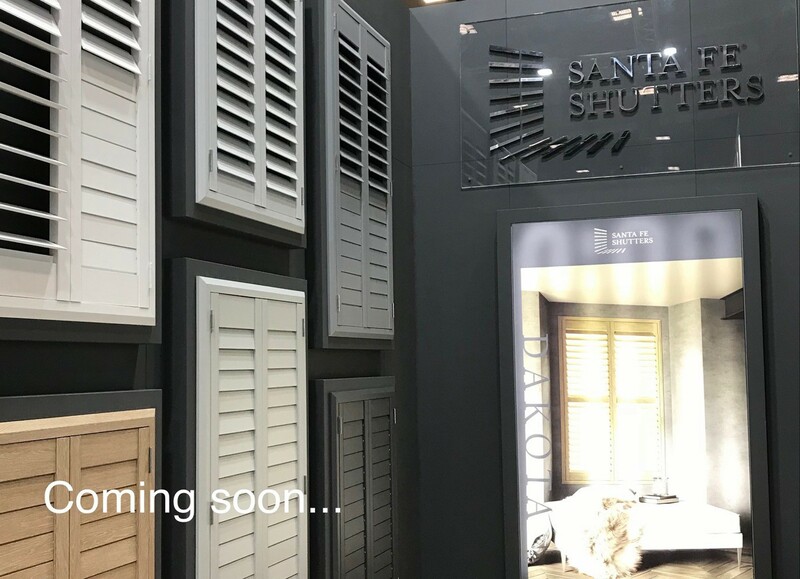 Because of this experience and knowledge, we’re confident that we can offer you an unrivalled service for the installation of your brand new shutters. 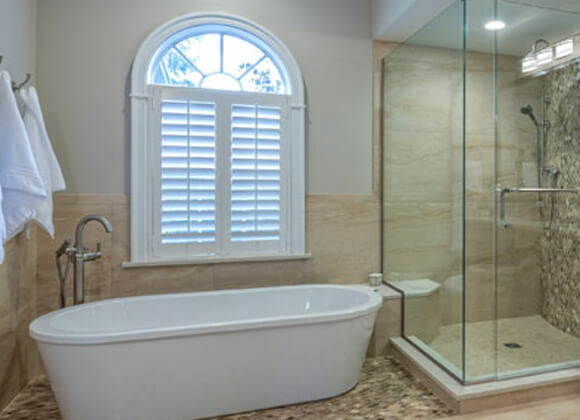 It’s the little touches that matter in a home or business environment and we can help you to make sure that you make the very best choice for your windows. 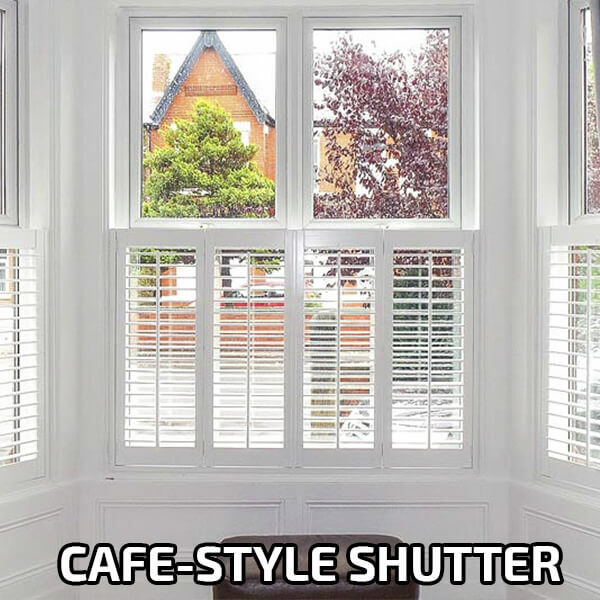 Bay Window, although not technically an official Shutter style, we have included to help you describe what you want. 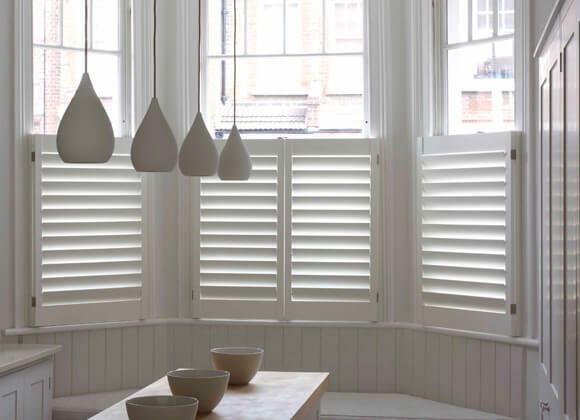 Both Hampton and Navada Shutter ranges offer special bay frames, or individual ones on each part of the window, however the Navada range offers a specialised shaped shutter that you may require depending on your style of bay window. 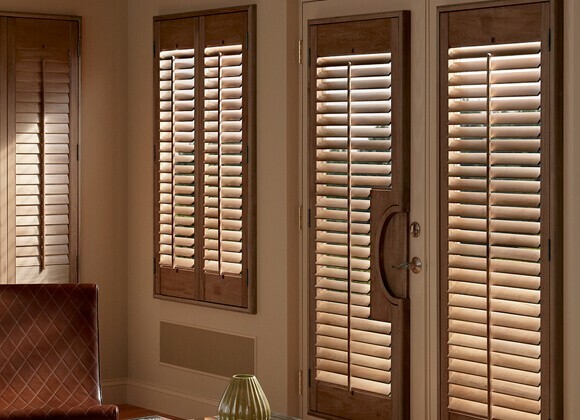 Bay shutters can help make the most of your bay window. 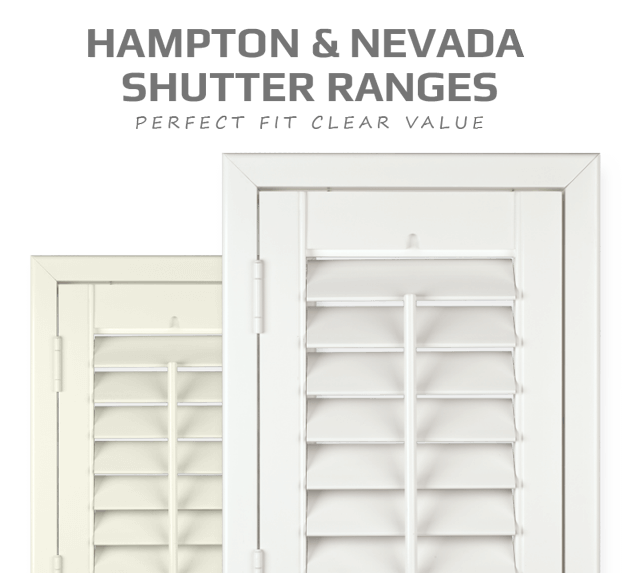 Also not a style of shutter exclusively but an opening style option exclusive to the Nevada Range allows for a perfect gliding shutter on a track, could this be what you are looking for? 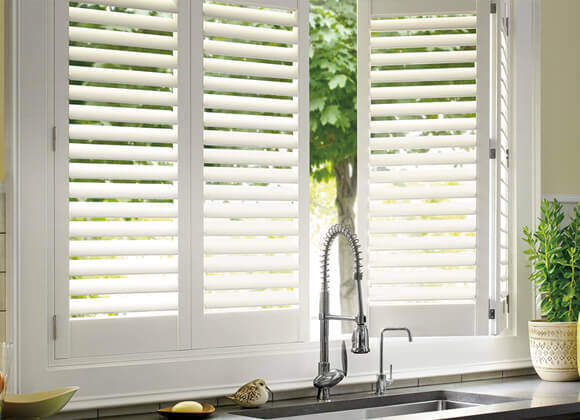 A majority of our window shutters are made from high quality HS polyvinyl as it is durable and waterproof and of course most suitable budget selection caters exactly to what everyone is looking for in faux wooden look and Vinyl shutters. However if an Authentic Wooden Shutter is what you are looking for these will be available to the new 2019 range. 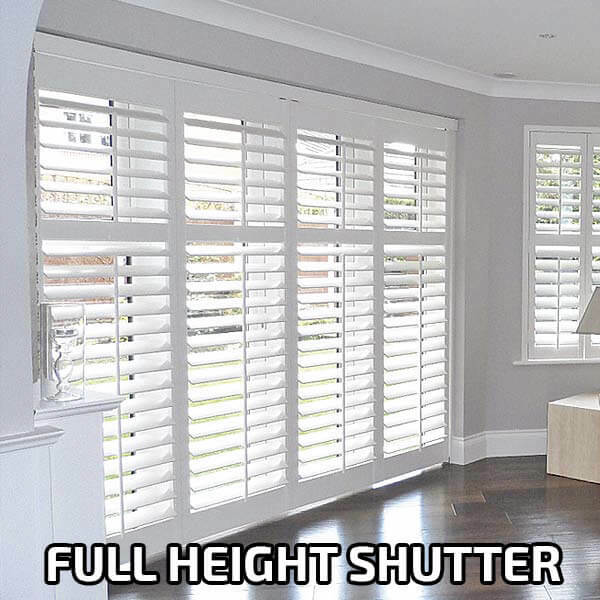 From top of the range White Teak and Quality hardwood timber to entry-level hardwood shutters made with a MDF frame and real hardwood shutter panels. Taken from our Vinyl Range but designed to look like real wood, these are made from durable, hard and lightweight plastic that is affordable and can easily rival the look of their real wood counterparts. 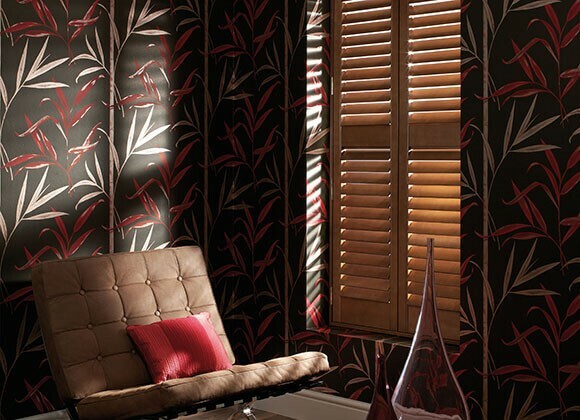 We offer two varieties of Vinyl Interior Shutters. 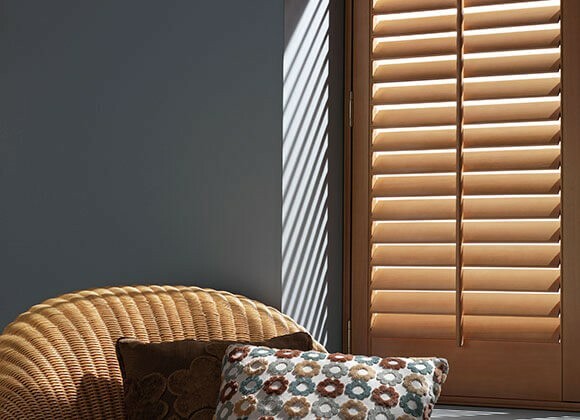 Our Vinyl Shutters combine beauty with durability, not to mention the easy maintenance.